North American shoppers get a new colour to choose from in a few weeks when the rumoured Midnight Purple 3DS console hits stores. Coming on 20th May for a suggested retail price of $169.99, it joins Cosmo Black, Aqua Blue, Flame Red and Pearl Pink in the rainbow of handheld console colours. Aqua Blue is still my favorite of the 3DS colors, but this one easily moves into 2nd place. What about white and dark blue? looks great but ill keep my cosmo black until it dies. Midnight Purple is nice, but let's not pretend like any of the current NA colors are on the same level as the Cobalt Blue Japan has. I still believe a dark green 3DS would look absolutely beautiful. Tempting, but I'll wait until we get one with a better battery. Finally. Now I'll be able to get a 3DS when the right games appear (SQ4 for example). Any details on the European date yet? Idk, any details on the North American date for White? How much trade credit do I get for a 3DS at gamestop? AND I'll only upgrade after I can link my games to an account so I can re-download my games without re-buying it. I WANT IT! Too bad i already have a cosmo black. Maybe if my friend buys mine I will get the purple one. Honestly I doubt they will ever make a 3DS with a second circle pad, so there is no point in waiting for a remake. Looks pretty cool, the red on is still my favorite though. Is it the same purple as at E3 2010? It looks different, more ehm.. ugly? I was hoping for Cobalt Blue, but this color is OK too. Don't people like green? I like green. I would buy a green console. Not Xbox, that's gross radioactive green. 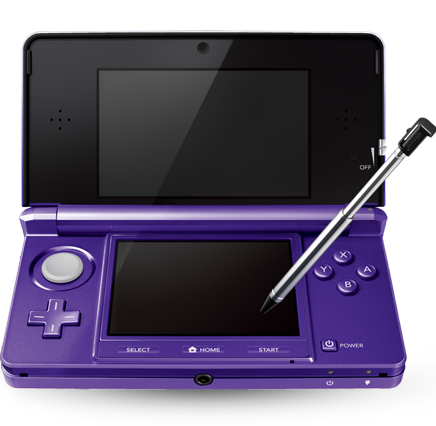 Have a black one but will upgrade to a different color as soon as a 3ds lite comes. I want a yellow one. And green, of course. But the fancy kind of green, not the near-vomit green they did with the DS Lite. i wonder if this will be exclusive to North America? As of now, there are no plans to release the Ice White 3DS outside of Japan and Europe, and now words on the Cobalt Blue 3DS. If Japan gets Midnight Purple, their will be 7 different colors to choose from! Please consider that these are just concept pictures. They're not photos, so they don't have that nice pretty shininess that the actual systems have. If I ever need to replace my 3DS and a redesign hasn't come out yet, I'll totally get one of these (or a lime green one). Looks really nice, but I'm gonna hang on to my flame red. It is really nice that Nintendo is listening to our suggestions though! Ice White looked sweet, but Apple has played out that color to death. 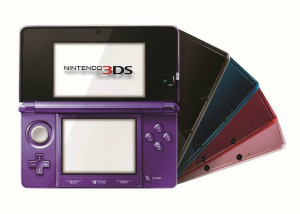 Anxious to see what purple will look like in person ... and if it will de-throne Flame Red as the hottest 3DS color. Looks pretty good, but I've never liked the two-tone effect where the area around the top screen is still black. That's why I love my Cosmo Black. With these newer models did Nintendo fix the 3DS design flaw that lets the top screen rest right on the bottom causing smudges? I think it will have a difference with the hinge this time probably the moving part. I'm fine with my Aqua blue 3DS and I don't like Purple much but that actually looks really nice! Hmmm. should i pay $169.99 for a new colored 3DS when i already have a black one? No. Dang it I am half tempted to trade in my red one for that. Someone needs to come out with interchangeable 3DS coverings so you can swap colors. NOOO! NOOOOOO! I GOOFED GETTING THE BLACK ONE! Sorry for the caps, but I love purple. The more the merrier though I won't be grabbing it anytime soon. It's Waluigi Purple. But I suppose he's a niche character. My friend really wants the white one. I would like to see a electric lime green color for the 3DS since its my favorite color. And now, where's the green one? Thats quite appealing. My aunt loves purple. Yay! My friend LOVES purple and I've been trying to convince her into getting a 3DS for a year!!! I'm pretty sure she's gonna want one when she sees this!!!!!! 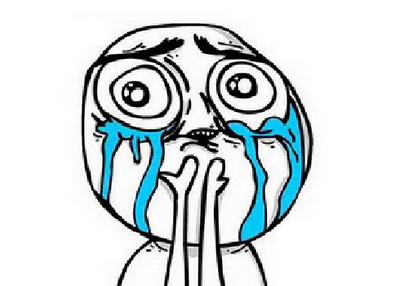 I wish that the Cobalt blue 3ds that Japan has was released in America. For now, I'll just have to stick to my cosmic black. Seriously. I raged so hard I went Super Sayin and blew up half of my house. I spent $170 on my Cosmo Black, which was a nice color but I prefer blue and the Aqua Blue is just so damn ugly, and then two months later, "Hey! We're releasing it in the actually nice shade of blue that you wanted in the first place! "...I would have punched my screen besides the fact that I am too poor to afford a new laptop. First they release red, then the Zelda one, then pink, and now my favorite color: purple. And I'm stuck with my Aqua Blue one. DAMMIT. Just... dammit. I'm gonna be upset the rest of the week now. Friggin Nintendo. @pariah164 just keep clam and drink tea! I would rather have that purple than my black Zelda one. I love purple. This looks nice I admit, but I'll be waiting on an orange one before I put my current to rest. If i wanted my systems a diffrent color, i'll paint them. The only thing that would make me change my red 3DS to a different one is a gold Zelda console and they ruined that by making a black Zelda console. looks just like the purple GBC too. I really like this shade of purple. Looks really nice! As cool as this color looks I think that I will stick with my black 3DS until it dies or until a must-have limited edition model comes along. That or if they make a really gorgeous shade of green(my favorite color). /me crosses my fingers for an electric green.